Lupita Nyong’o is one of the new faces of Calvin Klein! Monday, Calvin Klein announced its first fragrance to come out since Raf Simons joined as chief creative officer in 2016. 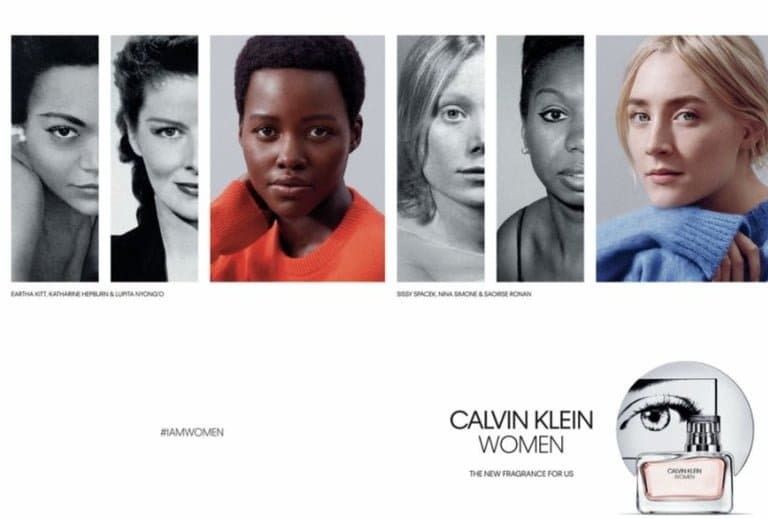 And for the new scent Calvin Klein Women, two Hollywood starlets were chosen to be faces for the brand: Lupita Nyong’o and Saoirse Ronan. Nyong’o had kind words for fellow actress Ronan in a short video introducing the new campaign. “You’re such an intelligent and thoughtful actor. To be associated with you is really a honor,” she said. “With this fragrance, we wanted to put the concept of plurality center stage. The campaign is an exploration of femininity – a group of women bonded by a common thread; the desire to have the power to create their own identity, and to support and lead the way for those that come after them.” said Raf Simons in a press release. Nyong’o is of course no stranger stranger to the beauty industry. The Oscar-winning Kenyan beauty has been the face of Lančome since 2014.